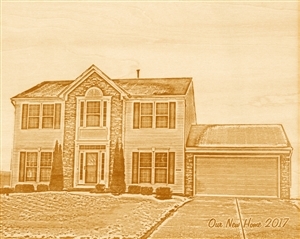 These beautiful wood artworks are carved with the latest laser engraving technology on premium tilia wood. 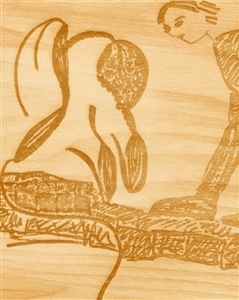 You will receive an artistic wood portrait that is easy to care and ready to hang. These wood displays make a great anytime gift for the person you love. Wood: 3mm thick premium Tilia wood, which is known for its smoothness,durability, and longevity. Engraving: The latest laser engraving technology is used, which allows us to engrave all of the finest details of your photo with 1 mm accuracy! 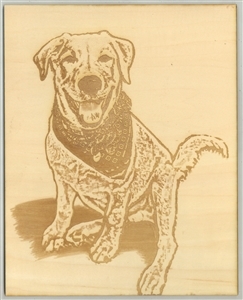 Process: You will see a preview email of your artwork layout before we start the engraving process. Then, you can either approve it or ask for modifications, free of charge. We are also happy to remove the background, as well as any objects that you don't wish to have included from your photo. 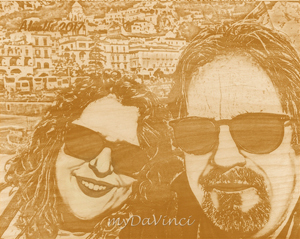 Layout: Our professional artists create artwork layout based on your photo and your request before the engraving. 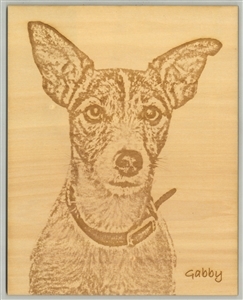 Option: You can also request to add wording to make your wood art even more memorable. 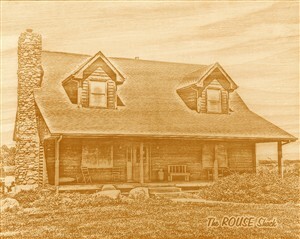 You will receive an email preview of your artwork within 1-3 business days after placing your order with clear photos. Modifications can be made to the layout free of charge. If you are not 100% in love with your artwork, and we cannot modify it to your satisfaction, you are entitled to a 100% refund. Choose your favorite frame in cocoa, white, or natural wood finish from our modern recycled wood frame collections. For Continental US shipping addresses only. For Continental US shipping addresses, FREE standard shipping over $149, or $12.95 otherwise. Last minute shopping? Send a myDaVinci gift certificate with instant digital delivery! They took a picture from my phone and turned it into this beautiful piece of wood work...spot on. Thanks for doing a excellent job.